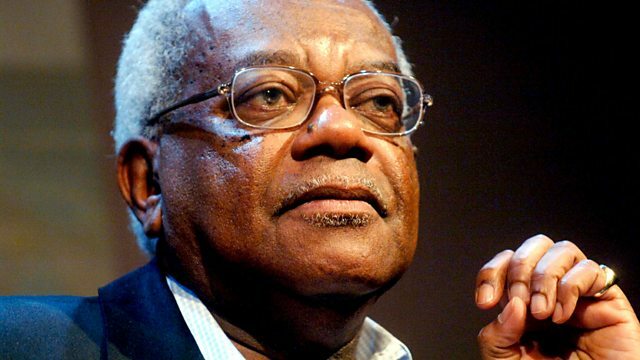 Michael Berkeley's guest is journalist and former newsreader Trevor McDonald. His choices include music by Elgar, Verdi, Handel, Beethoven, Copland, Puccini and Chopin. Michael Berkeley's guest on Private Passions this week is the journalist and former newsreader Sir Trevor McDonald. Born in Trinidad, he moved to Britain and began his media career as a BBC radio producer. He began his long association with ITN in 1973, first as a general reporter, then as a sports correspondent, and subsequently focusing on international politics - he secured interviews with Yasser Arafat, Colonel Gaddafi and Saddam Hussein, among other notorious international figures. In the 1980s he became the first black TV newsreader in the UK. From 1992 he was the sole presenter of ITV's News at Ten, quickly gaining a profile as one of the best-known faces on British TV, and continued to present the evening news until he finally retired after the 2008 US Presidential Election. From 1999 to 2009 he hosted ITN's flagship current affairs programme Tonight with Trevor McDonald. He now focuses on presenting documentaries and features. He has won more awards than any other British reporter, and was knighted in 1999. His musical choices start with Elgar's 'Introduction and Allegro', which he first heard as a young man played by the Halle Orchestra on tour in Trinidad. They continue with the Prisoners' Chorus from Verdi's Nabucco, which represents the cry for freedom of all oppressed people; an aria from Handel's 'Messiah', which moves him as an expression of faith; an excerpt from Beethoven's Violin Concerto played by Nigel Kennedy, whom he greatly admires as a violinist; the Shaker hymn tune 'Simple Gifts' from Copland's 'Appalachian Spring'; an aria from Act I of Puccini's 'Tosca', and the finale of Chopin's First Piano Concerto, played by Artur Rubinstein, another of his musical heroes. First broadcast in June 2011.